Australia-based RRAM developer 4DS Memory announced that it has signed an agreement with Belgium-based imec to develop a transferable manufacturing process for its technology. As part of the agreement the two parties will demonstrate the process with a 1Mbit test chip. In October 2016 4DS raised $3 million USD to fund its ongoing ReRAM development activities. In October 2016 4DS also announced the fabrication of a working 40nm RRAM memory cell in collaboration with HGST, a subsidiary of Western Digital. Researhcers at Stanford and MIT developed a new 3D chip fabrication method that combines a CNT-based processor with RRAM memory cells. This technology can be used to create 3D chip architectures in a way that is not possible with silicon-based chips. Both CNT-based logic and RRAM memory components can be deposited at relatively low temperatures (around 200 degrees Celsius) as opposed to silicon which requires 1,000 degrees to deposit. This means that you can place one layer on top of the other without damaging either layers. 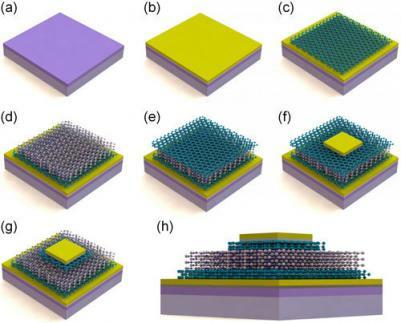 Researchers from Soochow University in China developed a 2D RRAM device structure based on sheets of graphene and hexagonal boron nitride (hBN). The device uses a Graphene/hBN/Graphene structure and it features excellent overall fitting results. This is still just a theoretical model, but it may prove to be the basis of high performance RRAM devices. Researchers from the Munich University of Applied Sciences in Germany managed to produce RRAM (CBRAM) devices using a standard inkjet printer (FujiFilm Dimatix DMP 2831) without any additional processing steps such as electroplating or lithography. 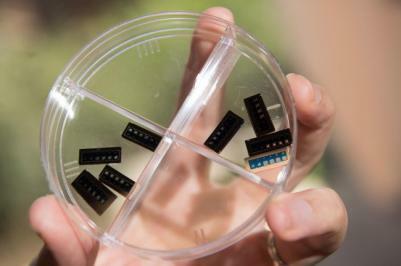 The researchers say that the memory devices have a performance comparable to regular RRAM devices created in a clean-room process. 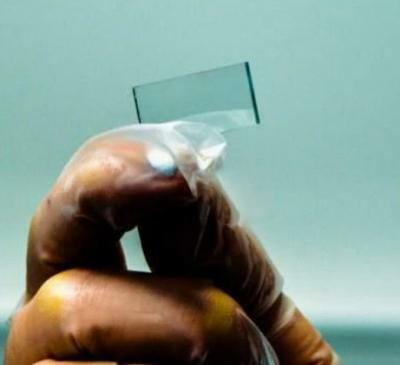 To create these memory cells, the researchers used three different inks: silver nanoparticles, spin-on-glass (liquid glass) and PEDOT:PSS. The silver created the conductive layer, the spin-on-glass was the insulating layer and the PEDOT:PSS was also used to create conductive layers. The memory device was printed on a cheap and flexible plastic foil.